The UF Health Cardiovascular Center in Jacksonville, Florida brings together internationally recognized physicians who are leaders in cardiac care, research and education. Our physicians, as faculty of the University of Florida, participate in numerous national and international clinical trials and offer accredited fellowship training programs in cardiology, electrophysiology and interventional cardiology. 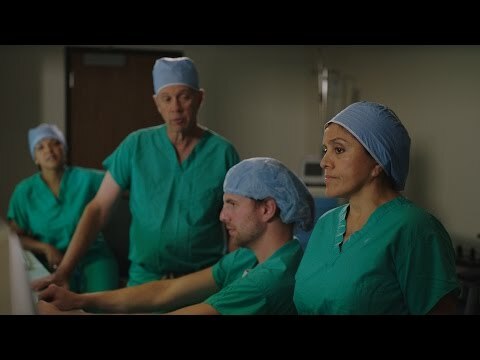 UF Health Jacksonville is renowned for treating patients with complex diseases and being on the forefront of advancing the science of interventional cardiology and minimally invasive surgery. Using the most sophisticated equipment available, the center offers state-of-the-art diagnostic, therapeutic and rehabilitative cardiac services. Many leading-edge interventional therapies are offered in Northeast Florida only at the UF Health Cardiovascular Center. In 2016, the Society of Cardiovascular Patient Care accredited UF Health Jacksonville as a Chest Pain Center with Primary PCI and Resuscitation. This is the highest available designation for chest pain centers and, at the time of the announcement, UF Health Jacksonville was one of only 24 hospitals in the country and the first in Florida to hold this prestigious designation. To receive the primary PCI and resuscitation designation, hospitals are required to have staff on duty or just minutes from the facility to treat patients with the most serious heart attacks; be equipped with a robust hypothermia program for follow-up treatment; maintain a “no-diversion policy” for out-of-hospital cardiac arrest patients; and have a separate Multidisciplinary Resuscitation Committee with representatives from EMS, emergency medicine, nursing, surgery and administration.